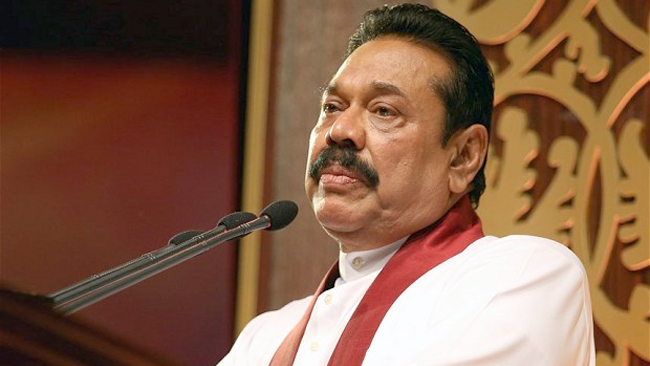 Former President Mahinda Rajapaksa arrived in the country yesterday, following a trip to Malaysia that was marred by demonstrations and protests by some Tamil groups. Rajapaksa during his visit attended several functions including the conference of Asian Political Parties but had to cancel some of the pre-planned events due to protests. During Rajapaksa’s stay in Malaysia, a group of Tamil protesters who were described by the former President’s delegation as pro-LTTE, held demonstrations and burned effigies of Rajapaksa protesting his presence on Malaysian soil. Rajapaksa was also slated to take part in several events in Kuala Lumpur in addition to the Asian Political Parties conference, but had to cancel them amid violent protests. A group of protesters had also assaulted a monk on Saturday at his temple in Kuala Lumpur after they heard the monk had invited Rajapaksa to his temple. Also on Sunday a mob attacked the Sri Lankan High Commissioner to Malaysia at the Kuala Lumpur International Airport, after he had seen off ministers Daya Gamage and Anoma Gamage and MP Dinesh Gunawardena, who had boarded a flight to Colombo. "Aney Puthe Úmbe Kateth Pas, Mage' kateth pas"! Was surprise that he still alive... And I dont know what the International Ngo doing. ?